lined with juniper heart wood. 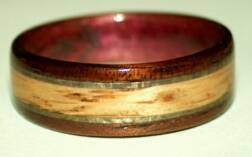 Wood Rings. Individually custom designed, meticulously hand crafted wooden rings by British Columbia artist and craftsman David Finch. Touch Wood Rings. From Canada. 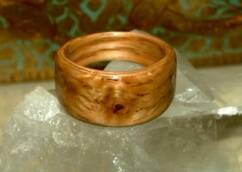 This untapered wooden ring is made of birch with a wide oak knot band.